Do you ever have one of those days where you come home from work starving, yet have zero energy to cook a wholesome meal? Yeah, me too. And while convenience foods are, well, convenient, they often have preservatives, questionable ingredients, and high sodium levels. Going out to eat is an option, but is gets expensive fast. So what’s a hungry vegan to do? Try Greenlite Meals, of course! Greenlite Meals is a California-based online marketplace offering up a diverse selection of healthy plant-based meals delivered straight to your home or office. All meals are created with carefully selected ingredients and no preservatives so you can eat healthier and feel better without taking too much time out of your already busy day. Allergy-friendly options are plentiful and there are even drinks and desserts. Meals arrive frozen in environmentally-friendly packaging and are labeled with easy preparation instructions. Most of the preparation instructions require a microwave, which I do not own. So I made my meals in a saucepan on the stove when applicable. 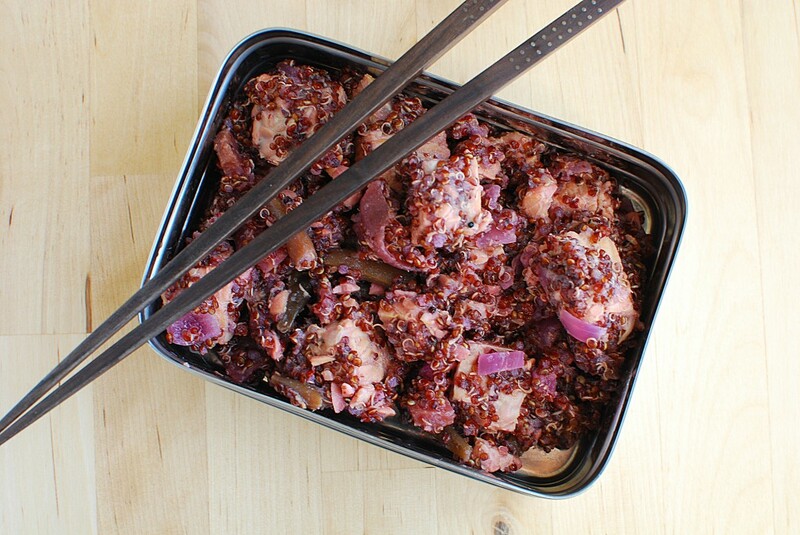 I absolutely love quinoa so the first meal I tried was the Tempeh with Citrus Quinoa & Beets. This beautiful entree is comprised of fluffy, citrus-spiced quinoa, braised tempeh, beets, and green beans. I actually ate this meal cold, salad-style and enjoyed every last bite. The flavors were fresh and light, but it was also quite filling. 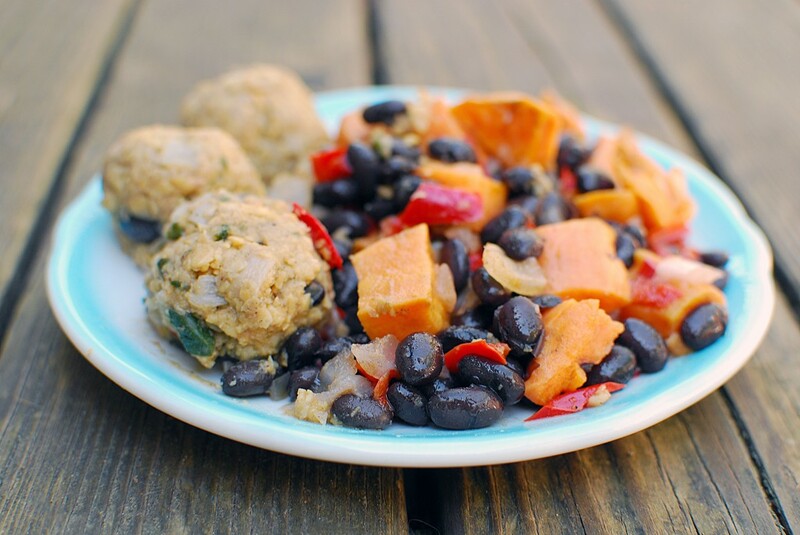 The following day I made the Falafel Plate with Sweet Potatoes–a mix of chickpeas, sweet potatoes, red peppers, onions, black beans, cilantro, and spices. I wouldn’t normally think to pair black beans with falafel, but it was quite a nice combo! I could see myself tucking this entire meal into a pita for an on-the-go lunch. Considering I have a massive sweet tooth, it only made sense to sample some of the desserts. 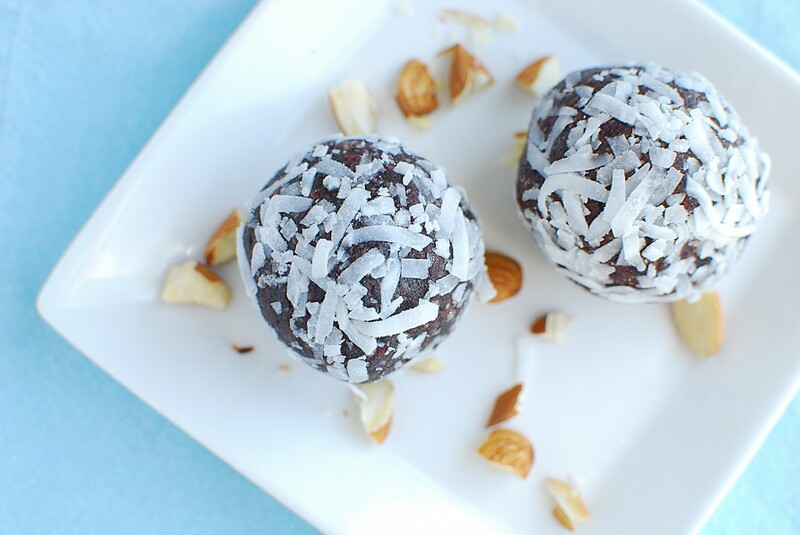 These Fruit n’ Nut Balls are made with a handful of simple ingredients: dates, almonds, cashews, dried cranberries, mango, and shredded coconut. I had one before a long bike ride and felt energized the entire time. I love bite-sized treats! I think my favorite meal was the Pumpkin Curry Stew with Quinoa. Sweet potatoes, chickpeas, pumpkin puree, zucchini, squash, red onions, coconut milk, curry paste, and spices complement each other for an authentic and hearty dish. I admittedly ate this outside on a warm, sunny day but think it would be ideal as comfort food in colder months too. A few of my other favorites included the Maple Nut Granola, Trail Mix, and Carrot & Coconut Scramble. Overall, Greenlite Meals are fresh-tasting, vibrant, and delicious. The ease of preparation makes busy days feel more relaxed and there’s no need to worry about artificial ingredients or preservatives–everything is made with whole foods! 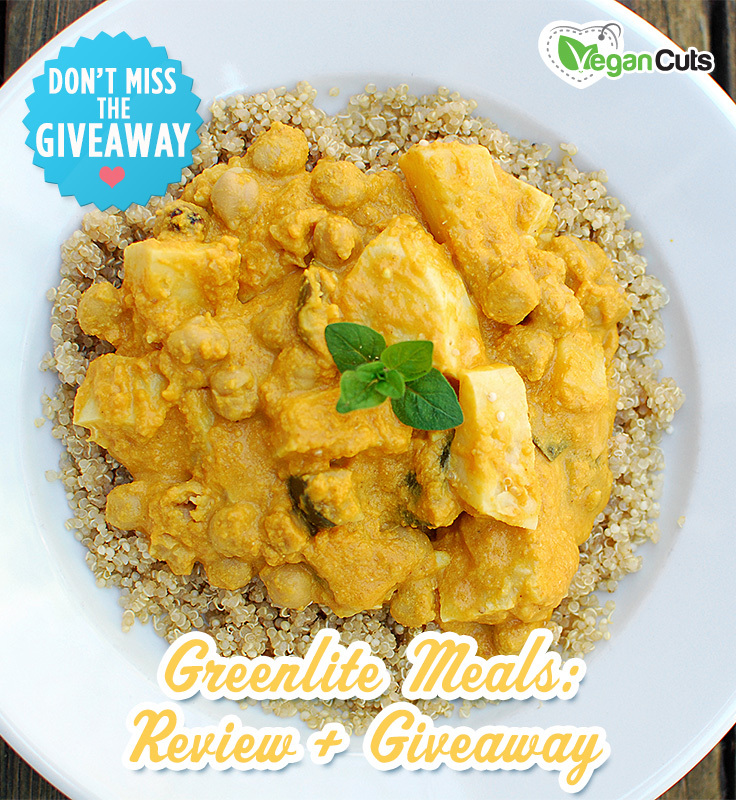 Greenlite Meals is offering one lucky reader a Kick Starter of their very own! If you win, maybe invite your friends over for a delicious feast? Enter below using the Rafflecopter widget. Good Luck! Open to U.S. residents only. I would love to try the Fruit N’ Nut Ball first! I’d try the Maple Nut Granola first. I’m picky and weird about granola so I’d be most curious about it. This looks so delicious! I would love to try the falafel with sweet potatoes. I’m always busy so if it saves me time in the kitchen, I need to try! 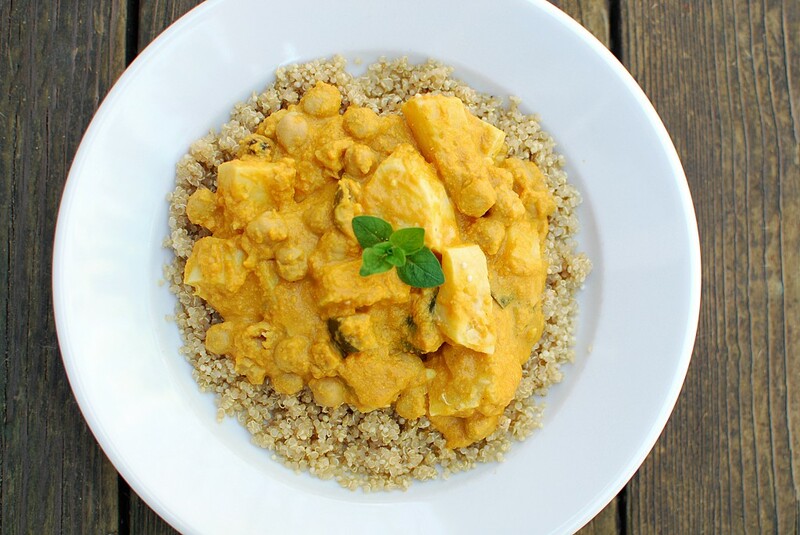 The pumpkin curry stew with quinoa sounds delicious! This post made me way too hungry. I would probably try the pumpkin curry and quinoa or the tempeh with citrus quinoa first. They look delicious! What?! This is an amazing price for vegan meals and snacks! Totally just made my day! I want to try the nutloaf with BBQ Mariana. As a Texan, have to say I miss the BBQ, but this sounds like it might give me my fix! The Carrot & Coconut Scramble sounds amazing. I’d love to try it. Sounds like some good meals. I don’t have a microwave either, so I’ll be heating mine on the stove. I would try the falafel first! The maca cereal sounds awesome! I would love to try pumpkin curried stew, it will probably be my favorite just like you Amy! Sounds so delicious! I’d try the curry first! I would love to win this! So hard to find a lot of time to cook good plant based meals every night with two boys and working full time. Oh my goodness, pumpkin curry stew sounds amazing right now! yum! Definitely the pumpkin curry stew! I love curry! But the tempeh dish also sounds amazing! The maple orange tofu looks great! I adore maple nut granola, so that’s likely what I’d try first. The pumpkin curry stew sounds amazing! I would definitely try that first! The Pumpkin Curry Stew with Quinoa looks awesome! I want to try the Falafel Plate with Sweet Potatoes. saw groupon for $99 for week…do you have meals for type 2 diabetic ??? Thanks for reading! We recommend contacting the company directly to find out more about their support for specific health concerns. Here’s their website: http://www.greenlitemeals.com. Here’s their contact page that includes a form for emailing and a phone number for calling: http://www.greenlitemeals.com/contact-us/.